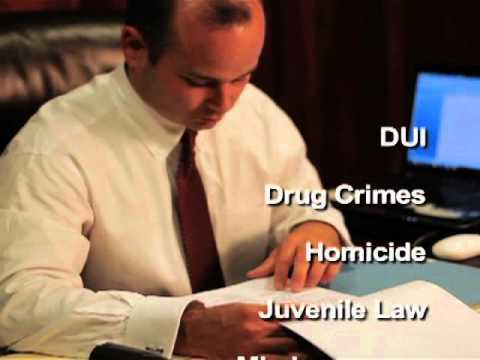 North Little Rock Law Firm, David R. Cannon | Preliminary Criminal Proceedings "
After a defendant has been arrested and may have been released, he or she is required to appear for an arraignment. An arraignment is a court appearance in which defendant is brought before a judge or magistrate and apprised of the charges lodged against him or her. Ordinarily with respect to a misdemeanor offense, the defendant will only be arraigned once. However, with a felony offense, the defendant may be arraigned more than once if the offense is changed from the offense listed in the initial accusatory instrument. The defendant is required to enter a plea with respect to the charges against him or her. The defendant can plead: guilty, not guilty, no contest, or not guilty by reason of insanity. Prior to accepting a guilty plea, the trial judge must ascertain whether the guilty plea is given in a free, voluntary, knowing, and intelligent manner. In states where a defendant is charged by way of an indictment, they are entitled to a preliminary hearing. A preliminary hearing is an adversarial proceeding in which both sides are permitted to present evidence and object to evidence. Because a preliminary hearing is considered an adversarial proceeding, the defendant is entitled to be represented by counsel. At the conclusion of the preliminary hearing, a judge will determine whether there is probable cause to prosecute the defendant. Defendant’s competency to stand trial. Disqualification of a judge or recusal of a judge. Severance of defendants or charges. Violation of one of defendant’s Sixth Amendment rights. Transfer the case to another venue or jurisdiction. Issues involving double jeopardy, collateral estoppel, and res judicata may also be addressed through a pretrial motion.